While UW-Madison’s operating budget supports the Lakeshore Nature Preserve administrative expenses, private funds support more than 35 percent of the Preserve’s annual budget. You can give online through the University of Wisconsin Foundation’s secure web server. The UW Foundation is the official gift-receiving organization for the Lakeshore Nature Preserve and handles the financial transactions and stewardship of all private gift funds donated by the Preserve. All online donations to the Lakeshore Nature Preserve will go to Preserve-designated accounts. Lakeshore Nature Preserve Stewardship Fund. Resources are directed by Preserve managers toward the most pressing needs such as erosion control, invasive plant removal, native plant restoration, and enhancing human use while assuring the long-term health of the land and its resources. Lakeshore Nature Preserve Endowment Fund. A sustainable resource supporting the on-going care and long-term management of the signature landscapes of the Lakeshore Nature Preserve for educational, research and recreational uses for generations of students, staff, faculty and community members far into the future. Only the earnings of this endowment are available for the Preserve staff managers to use on an annual basis. The principal is protected and maintained to generate future earnings. Please include complete contact information and a description of your gift intent. If a specific intent or fund is not indicated, your gift will be deposited in our Lakeshore Nature Preserve Stewardship Fund that provides overall general financial support to the Preserve. Let the Lakeshore Nature Preserve help you commemorate, celebrate and remember special people and events through a gift in support of the signature landscapes of the Lakeshore Nature Preserve. Gifts of all sizes are recognized with a personalized acknowledgement of your gift to the recipient of your choice, without reference to the size of your gift. Gifts are tax deductible for the donor. Please discuss the tax deduction opportunities with staff at the UW Foundation. You can give online or give by mail; please see How to Give (above) for more information. Include the following information in invitations, announcements, and obituaries. A very limited number of commemorative bench sites are available throughout the Lakeshore Nature Preserve. A small bronze plaque provides an opportunity for individual recognition. A minimum gift of $10,000 is recognized with a commemorative bench. The Master Plan for the Lakeshore Nature Preserve provides a vision for the future where a phased program of ecological restoration, maintenance, and recreational enhancement for the Preserve has been outlined to maximize and coordinate research and community use of this beloved area. The Lakeshore Nature Preserve has benefited tremendously from significant financial gifts from donors who have designated the Preserve as a recipient or partial recipient of their estate. By including the Lakeshore Nature Preserve in your will, you are investing in the signature landscapes of the Preserve for educational, research and recreational uses for generations of students, staff, faculty and community members far into the future. While it is always essential to consult your attorney or tax advisor before creating a will or trust, UW Foundation representatives are available to talk with you about your ideas and bequest plans. Visit the UW Foundation online or call 608-263-4545 and ask for the “Planned Giving Office” for more information or to discuss options for giving. Gifts to the Preserve have protected the character and beauty of the campus and assure that the community will continue to enjoy the special places that provide some of the fondest memories of the UW experience for alumni and others. Gifts do much more than that, of course. They give us what many regard as the most beautiful campus anywhere in the nation, if not the world. They provide access to nature just a few steps away from classrooms and residence halls. They create outdoor classrooms that support teaching and research. Perhaps more important, such gifts remind us of the land and ecosystems without which human institutions like the university could not survive. 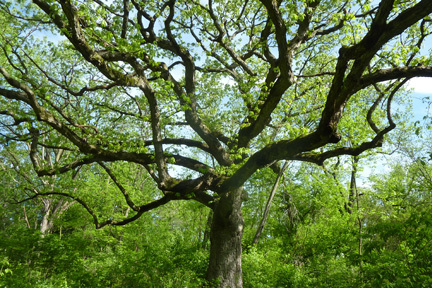 They reconnect us to the web of life and affirm our commitment to what the great Wisconsin ecologist Aldo Leopold called the land ethic: learning to live on a piece of land without destroying it. All donations to the Lakeshore Nature Preserve are facilitated by the University of Wisconsin Foundation, which is a non-profit, tax-exempt unit of the Board of Regents of the University of Wisconsin System, part of the State of Wisconsin. Giving to the Lakeshore Nature Preserve supports UW-Madison which is part of the UW System. All gifts, with permission of the donor, are recognized in the Lakeshore Nature Preserve E-Newsletter, issued 3 times a year, the Lakeshore Nature Preserve Annual Report, and through the University of Wisconsin Foundation. If you would like special recognition of your gift, please indicate such on your donation form. At this time, physical recognition of gifts is limited in the Preserve to maintain its overall natural beauty and not detract from this amazing resource. Memorial/gift recognition can be discussed with Preserve staff at the time of your donation.